What does the name Reuleaux, the newest mod to come from the partnership of Wismec and Jaybo, actually mean? Why that name? I’m glad you asked! Because when it comes to the Reuleaux DNA200 model, it means a lot. The Reuleaux [rə’lo] name comes from the ‘center most‘ triangle created when three circles intersect. The Reuleaux mod, like the geometry, is represented in three sets of three. The mod itself uses three 18650 batteries, the mod body has a really cool three piece design, and finally the Reuleaux comes from the creative minds of JayBo Designs, Wismec and Evolv. 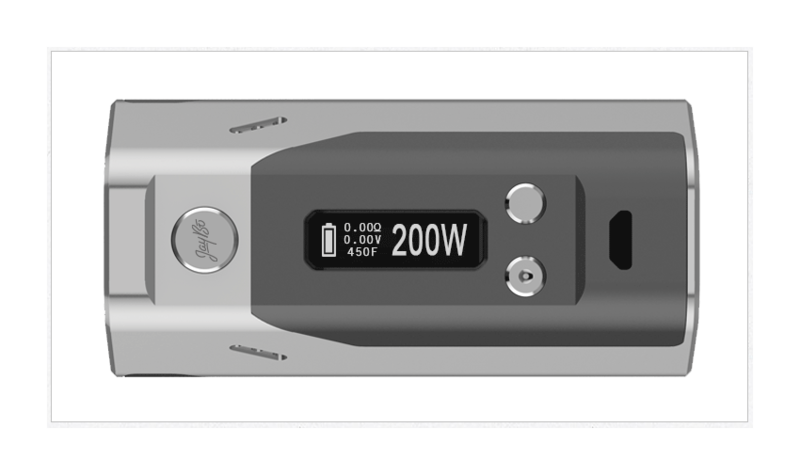 The Reuleaux DNA200 is the first mod of its kind to use 3 removable 18650s, which will output a true 200 watts of power. The 3 cells in “series” provide a total of 11.1 volts. It is also the first mod to feature reverse polarity protection by way of a unique mechanical solution. This protection mechanism utilizes the standardized “sunken gap” around the positive portion of 18650 batteries. A small protective ring indexes into this space, which allows the positive battery contact to recess into position. If the battery is reversed the ring will prevent the negative portion of the battery from contacting the wrong terminal. In the incorrect battery orientation the Reuleaux will simply not function. Truly, the Reuleaux has been carefully considered before being prototyped, much less go into mass production. The first mod of its kind to use 3 removable high amp 18650s that will output a true 200 watts. The Evolve DNA200 board does not have reverse battery protection, so this new mod is the first DNA200 mod to feature reverse polarity protection by way of this unique mechanical solution described above. Now that you know just how much thinking and innovation that went into this powerful mod, let’s get into the proper review. Of course, in this review you’ll read about these bullet points again, but in context of my experience of having used it for a while. the Reuleaux DNA200, but first let’s get some of the specs and features sorted so you’ll have an idea of what I’m talking about in my “impressions” below. Powered by three (3!) 18650 batteries (30a and above), this beautiful device offers power up to a true 200w of power (1w-200w), fires down to the lowest resistance levels that can be made by wrapping coils with Kanthal coils and 0.15-ohms with Nickel coil wire. It can produce up to 11.1-volts. The Reuleaux is both a Variable Wattage device and a Temperature Control device. In TC mode the temperature range is 200-600℉. Does any this sound familiar? include its patented Wattage Control, Temperature Protection, Preheat, Digital User Controls, OLED Screen, Onboard Buttons and Synchronous Rectification technologies for obtaining maximum battery life with minimal heat generation. The DNA 200 was designed to run from a 3 cell lithium polymer battery (LiPo), and with a LiPo it features cell-by-cell battery monitoring and integrated balance charger. However, the genius mind of Jaybo has created a device that can achieve the same features using 3 Lithium Ion 18650 batteries. WISMEC suggests using the Sony VTC4, a 30-amp battery with an excellent battery lifespan. The USB port of the Reuleaux DNA200 and Evolv’s EScribe software can be used to customize or monitor the user experience up to 8 presets for different vaping profiles. This comes in handy for various sub-ohm tanks and/or e-liquids when you’ve got your sweet spot down pat. Simply dial in the preset and vape. WISMEC chose wisely when deciding on the DNA 200 board. The WISMEC Reuleaux is 3.3-inches tall, 1.9 inches across, and 1.6-inches wide. With the placement of the 3x 18650 batteries this uniquely shaped device feels great in the average sized hand. It has heft, a solid feel, and terrific “reach” for the button placements. It’s 0.91-inch OLED display is easy to read and features the standard readout of the EVOLV DNA 200. It should be noted that the OLED display is the newer, larger display first found in the Vaporshark rDNA40. And it is in these design choices, along with the power technology, that Jaybo and WISMEC designers (this is definitely a Jaybo design) have really shined. When given the freedom to design something completely original, the vision for the Reuleaux DNA200 was inspiring to watch it come to fruition. Jaybo has this passion about vaping instruments that can easily sweep you off your feet if you too have a passion for innovative mods. Let’s take a look at some of the design elements and how they play into the aesthetics and the safety features. than-satisfy the demands for airflow, the ‘venting’ mechanisms in the mod are plentiful and aesthetically pleasing. 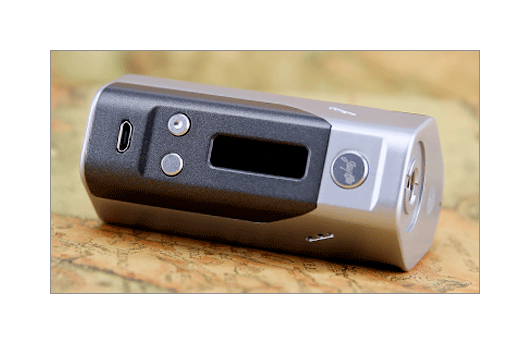 The Reuleaux DNA200 is a 6-sided device for all intent and purposes, and on the left and right sides that meet at the faceplate side of the Reuleaux DNA200 sits a set of angled 4-hole vents. On the bottom of the device is a set of 4x “5-hole” vents allowing in plenty of air for heat dissipation for the battery chamber. 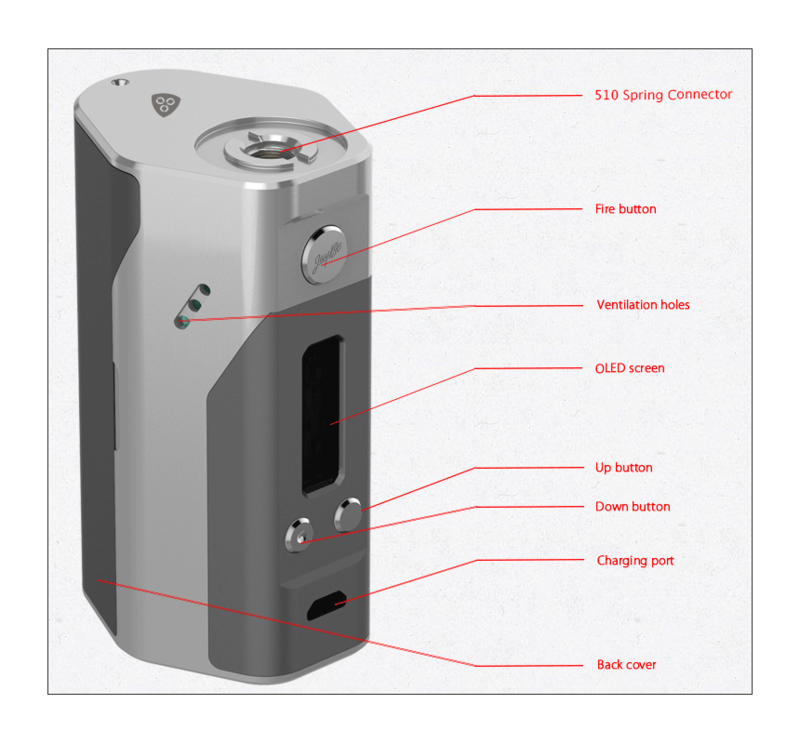 All in all, there are 28 visible vents on the Reuleaux DNA200. The battery chamber has a magnetic cover door that sits flush and secure. To access the battery compartment you place you hands on the cover and pull back. Realistically speaking, I use a fingernail on one (or the other) grooves where the door meets the device, and pull off the cover. Placing the cover back on is simple and fast. The magnets holding the cover in place are strong enough to create a snap sound. As of right now there is no ‘rattle’ with the battery cover. Looking at the photographs of the battery chamber, and ignoring the 1950’s garish green colored plastic, you’ll notice how the batteries create a triangle of power. The plus and minus symbols are easily read, and the posts were designed to create a firm grip on all 3 of the batteries. These batteries work in tandem in order to produce enough power to run the DNA 200 board. My preliminary experience with battery life has been beyond my expectations. Why not indeed. As the owner of the Vaporshark DNA 200 I know full well the advantages and disadvantages of using a LiPo battery for this board. I also know that EVOLV recommends LiPo. I briefly spoke with Jaybo about this issue, though for the life of me I cannot remember the exact reasoning for the 18650’s so I won’t even attempt to tell you why WISMEC and Jaybo went this route. What I can tell you is why I love the fact that the Reuleaux DNA200 uses 18650’s instead of LiPo’. While I enjoy my Vaporshark DNA 200 with certain subohm tanks I dislike having to recharge it. Recharging the Vaporshark doesn’t take an extraordinary amount of time to do, but while it is charging I am not using it, so I have to use something else. With the ability of quickly swapping out batteries the Reuleaux is never out of commission. Without getting lost in the minutiae of both LiPo (lithium polymer) and Li-Ion (lithium ion) batteries, the latest firmware for the DNA 200 board officially allows the board to be powered by either LiPo or dual-18650 Li-Ion batteries. When the tests that were conducted by cloudmaker were complete and they were comparing the Watt-hour test results with a nominal voltage of two battery configurations (LiPo vs Dual 18650’s), it was clear that the amount of energy available in the dual-18650 batteries in a DNA200 was higher than the energy available to the same DNA200 from the DNA’s standard 1000mAh 3S LiPo. 3S meaning 3-stack LiPo packs of 1000mAh each. Simply put, when using the best quality 18650’s available, i.e., Sony VTC4 or VTC5, you can get superior watt-hour numbers compared to “stock” DNA 200 LiPo. Now, as a Vaper, a user of the WISMEC Reuleaux DNA200, I like the 18650 solution for some very simple reasons; I can easily replace the batteries when it’s called for, I don’t have any downtime with swapping out 18650’s, and I trust 18650 batteries more so than the newer LiPo packs, though I do admit the whole LiPo technology is going to provide some wonderful power storage solutions sooner rather than later. But right now, today, I know Li-Ion better and feel just a little safer with them. in ways I can’t explain. In simple terms, the two-tone is a dark grey and a light gray, or sometimes it appears to me as silver and a mocha color. I know, it’s weird, my color perception changes under different lighting. The terrific design aesthetics and sensibilities are impressive. Although the Reuleaux may very well come out in different colors at some point, the moment I picked it up I felt that the two-tone colors couldn’t have been anything other than what it is. The WISMEC Reuleaux DNA200 that I have been using is a pre-production unit. It will go ‘wide’ in late November or early December at a price between $160-$180USD. The Reuleaux DNA200 arrived at a perfect time in my vaping instrument review period. The day before my ProVari™ Radius arrived the WISMEC Reuleaux DNA200 arrived. Comparing the two devices has been really interesting and has aided me in this review as a point of perspective, and no doubt will help Julia during her review period with the Radius. The ProVari™ Radius is a 40w box mod without temperature control technology and it sells for $199.99USD. It is worth every penny, but it is also directed at people that would probably never consider a WISMEC Reuleaux. On the other hand, people that will buy the Reuleaux DNA200 will probably not purchase the ProVari Radius. Both vaping instruments are cutting edge, both are well built, beautiful in design and function, yet utterly different in appeal. When using the ProVari Radius I’m usually vaping with a Kanger Subtank with a 0.5-ohm OCC. The vape experience, what we here at Spinfuel call the ‘satisfaction of vaping’ using the Subtank with the Radius has been relaxing, ample, flavorful, and pure pleasure. It is the box mod I use when I’m vaping for myself, not for a review. In my daily and weekly rotation the Radius is supplanted with my Vaporshark rDNA, Vaporshark Vapor Flask, eLeaf iStick TC60W, and Joyetech eGo One Mega. This is a wide array of devices that I can pick up and put down according to my mood or desire. The Reuleaux is the uninvited guest that arrived with no notice, and yet has seen increasing usage from Day One, for review purposes, yes, and to experience the two diametrically opposed roads into the Future of Vaping. At the same time the Reuleaux and Radius arrived the Arctic Turbo Sub-Ohm tank arrived. While doing preliminary work with the Reuleaux I realized how important the Arctic Turbo (and SMOK TFV4) could be in my thought processes about the road the Reuleaux is leading some vapers down, and this then got very interesting. Before writing about where I think the WISMEC Reuleaux DNA200 is taking a segment of the vaping population I want to spend just a few minutes talking about the segment of vapers I belong to when I vape for myself. A Pleasure Vaper is someone that knows his or her way around vaping instruments and e-liquid, and knows what he/she wants, this is a shared characteristic with the Power Vaper. The goal of a Pleasure Vaper is in the name…pleasure. For me, pleasure includes the ‘lack’ of stress, the joy of experiencing pleasing flavors, the mind-numbing experience of watching thick, but not overwhelming, clouds of vapor form overhead, all in a slow, enjoyable period of time. All I really need to experience Pleasure Vaping is 40-watts of power, a half-ohm coil head, and a High VG e-liquid of exquisite flavor. But there is another segment of vapers among us that are always looking for more intense experiences. I like to call them Power Vapers, and many of my friends and colleagues are Power Vapers. Tom McBride is one such Vaper. Hell, if I were 20 years younger I have no doubt that I too would be a Power Vaper. There is something intoxicating about using a device like the Reuleaux and a powerful sub-ohm tank like the Horizon Arctic Turbo. A Power Vaper is someone that uses the most powerful vaping instruments in order to produce the most intense vapor possible with current technologies. This new WISMEC Reuleaux DNA200 is certainly a contender in the race for the most powerful vaping instrument. A massive amount of wattage yes, and a whopping 11.1 volts are possible with this device. It’s 3x high-amp batteries maximizes the power output even more than similarly equipped LiPo’s, making the Reuleaux the most powerful regulated mod on the market today. (If I’m wrong, please help me out by saying so below in the comments). The idea of vaping at the higher and higher wattage drives a Power Vaper. Producing the thickest vapor clouds is a goal to be reached, and constantly improved upon, for the Power Vaper. After watching Jaybo use the newest RDA from WISMEC/Jaybo, the Indestructible, I can tell you I have witnessed clouds so huge, and processed so fast, that I truly did not think it was possible. Power Vapers receive the same level of pleasure and the same level of satisfaction that Pleasure Vapers achieve, but do so in contrary ways of the Pleasure Vaper. I won’t include the results of my upcoming review for the Arctic Turbo, but I can say without a doubt that it was Horizon’s intent to create the most powerful sub-ohm tank on the market today. The Turbo, and the TFV4 by SMOK were my choice tanks for the Reuleaux review period because they have achieved the maximum performance from prebuilt coil heads. medium sized room with thick aromatic vapor inside of 2 minutes. And I had another 110-watts to play with should I ever run into a tank or RBA/RDA that would allow me to handle the full 200-watts. The thing is, as a Pleasure Vaper, spending any amount of time in the 90+ wattage range is not my definition of pleasurable. For Tom it is, but not me. 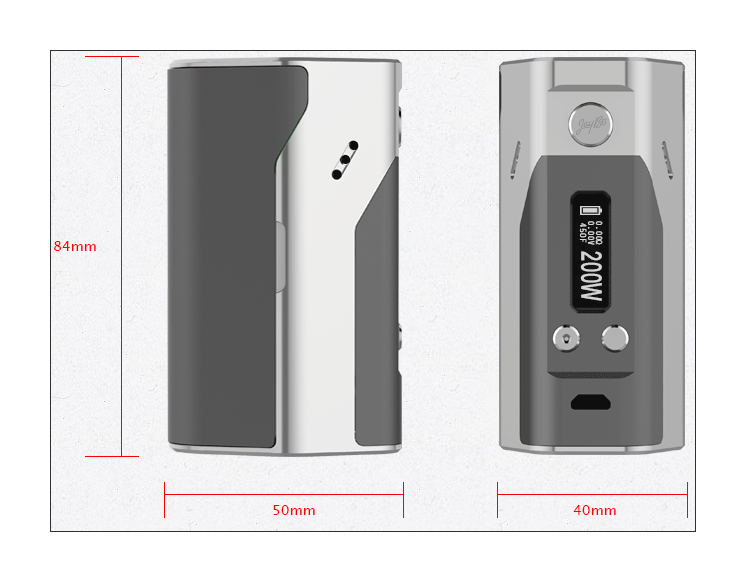 Clearly, Jaybo and WISMEC have created a new DNA 200 vaping instrument that drives the technology further up the road to maximum vaping, while staying within the safety limits. 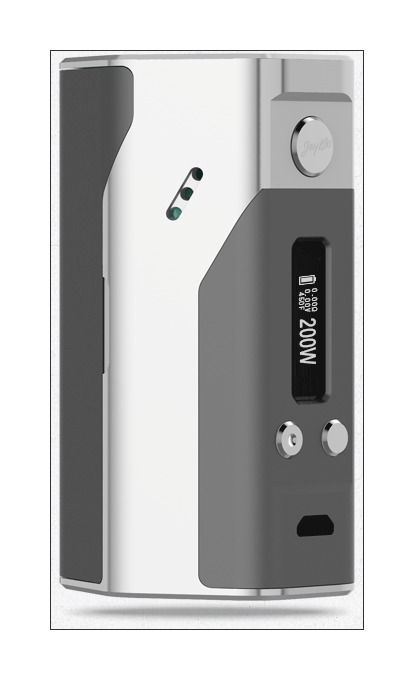 The innovative way in which the Reuleaux technology actually improves upon the Evolv DNA 200 by adding reserve battery protection, is remarkable, and quite simply, inspiring. Too see this much thought and innovation going into a single, unique vaping instrument makes me proud to be a part of the community. The Reuleaux DNA200 is very well built, stable, attractive, efficient, and safe if handled properly. It will, no doubt, become a standard bearer for high wattage devices that use 18650 batteries. It is unique in many ways, and it is a device for Power Vapers looking to take another step forward. Some may say that the Reuleaux DNA200 is just another DNA 200 mod in a different suit, but I can assure you there is more to the Reuleaux DNA200 than the board. It’s unique 3x 18650 battery layout that allows for a true 200 watt output, the maximum voltage threshold of 11.1 volts, its gold-plated stainless steel PIN and SS 510-threads, its ample vents, it’s reverse battery protection, and its extremely comfortable grip shape are features you won’t find in any other DNA 200 mod. In the end, I made the decision to give the WISMEC Reuleaux DNA200 to Tom because he will use it as Jaybo intended it to be used, as the powerful vaping instrument it truly is. Seeing Tom’s excitement after receiving this powerful device I know for a fact that others like him, other Power Vapers, will embrace this incredible instrument. If it is your goal to become a Power Vaper, or if you are already a Power Vaper you will find the Reuleaux DNA200 as exciting as Tom does. My it serve you well. Next : Could The FDA Really Kill 7000+ Vape Shops?